As we dive more and more deeply into our unschooling lives, we come to treasure creativity. And to see it everywhere! Not only in the creative arts themselves, but also in our children’s fresh way of thinking and their approach to even seemingly mundane tasks—it’s a way of looking at life. 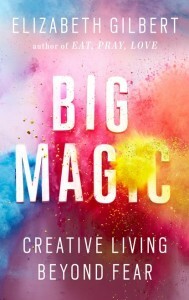 In Big Magic, Elizabeth Gilbert’s moving manifesto on creativity, she dives deep into this concept of living creatively. I’m talking about living a life that is driven more strongly by curiosity than by fear. 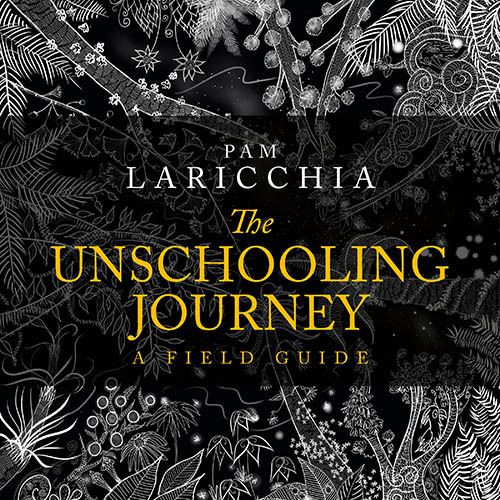 As parents, the process of moving to unschooling is so often about working through our fears of going against the grain as we dive deep into the conventional wisdom of learning, parenting, and living and discover it wanting. And in those depths we unearth a much more basic and human motivator: curiosity. 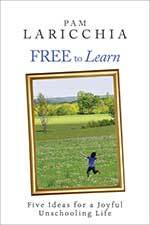 Choosing not to follow the strict and generalized learning path of curriculum, unschooling parents take care to nurture their children’s curiosity. What fascinates them? What do they have fun doing? What questions are they asking? Actively engaging with their curiosity creates a personalized and in-depth learning path that curriculum developers can only dream of. I recognize that the word entitlement has dreadfully negative connotations, but I’d like to appropriate it here and put it to good use, because you will never be able to create anything interesting out of your life if you don’t believe that you’re entitled to at least try. Through unschooling we discover that trying things out and seeing where they might lead is fundamental to living an engaged and spirited life. Gilbert also digs into our fears more deeply. She shares some great insight from an interview she did with musician Tom Waits for GQ magazine. Over the years, Tom Waits finally found his sense of permission to deal with his creativity more lightly—without so much drama, without so much fear. 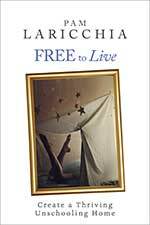 A lot of this lightness, Waits said, came from watching his children grow up and seeing their total freedom of creative expression. […] through watching his children create so freely, Waits had an epiphany: It wasn’t actually that big a deal. He told me, “I realized that, as a songwriter, the only thing I really do is make jewelry for the inside of other people’s minds. 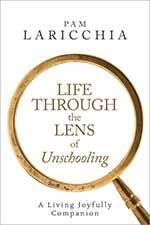 It reminded me, again, how much we learn about life from our unschooling children. How much I have learned from my children. And still do! But still, sometimes it’s easier to run away, rather than doing the work to move through our fears. My favorite meditation teacher, Pema Chödrön, once said that the biggest problem she sees with people’s meditation practice is that they quit just when things are starting to get interesting. Which is to say, they quit as soon as things aren’t easy anymore, as soon as it gets painful, or boring, or agitating. They quit as soon as they see something in their minds that scares them or hurts them. That’s one of the many gifts of unschooling: time. The time to sit with our discomfort. The time to help our children sit with their discomfort and eventually discover the riches that can be found on the other side. The newfound interest after weeks of unsettled boredom. The newly developed skill after hundreds of attempts. The new level of ease in an environment attained only after a number of nervous encounters. Supporting our children through these times helps them gain invaluable experience that will last a lifetime. Speaking of bigger picture life learning, Gilbert goes there too. My soul, when I tend to it, is a far more expansive and fascinating source of guidance than my ego will ever be, because my soul desires only one thing: wonder. Wonder! Curiosity’s soul mate. 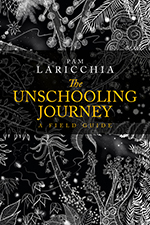 So many of us find that the unschooling journey reaches into our soul, helping us and our children grow more deeply into the people we truly want to be, and growing far beyond the surface of academic learning and testing and grades. There’s a famous question that shows up, it seems, in every single self-help book ever written: What would you do if you knew that you could not fail? But I’ve always seen it differently. I think the fiercest question of all is this one: What would you do even if you knew that you might very well fail? 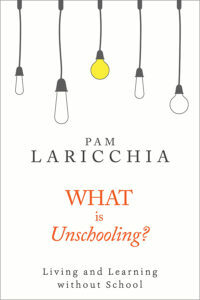 Unschooling is all about exploring this question. With the freedom and support to follow their interests and passions, to quit things when they no longer mesh with their interests or goals, our children find the things that they’ll persistently pursue, even through the most challenging moments. In other words, the things they’ll do even if they might fail. 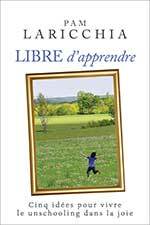 Big Magic and its focus on living creatively, touches on so many aspects of the unschooling lifestyle. To learn through living is to live creatively! 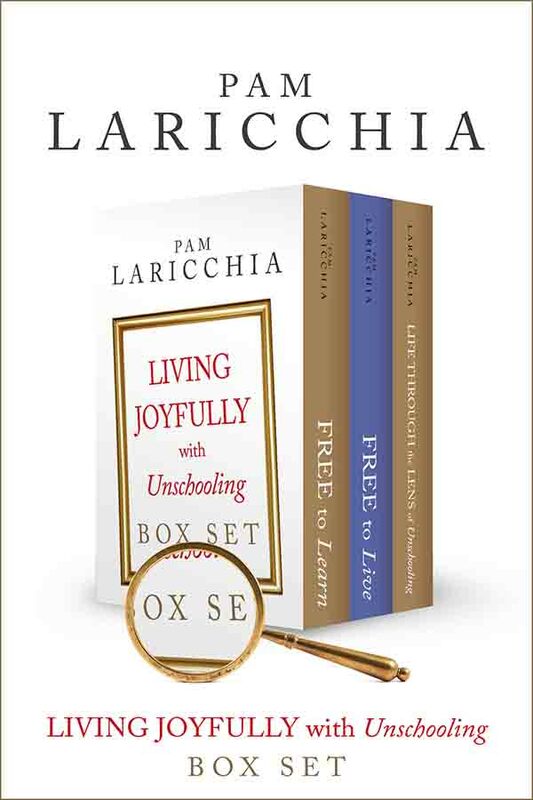 I really enjoyed the book and connecting her creativity dots (which have come from her perspective as an artist) to my creativity dots (which have come from living the unschooling lifestyle with my children). Those connections have made my world a bit bigger. One thing that has struck me lately, is how a number of recent and culturally popular books look at how, as adults, we can undo the damage that our conventional upbringing has wrought, like excavating and celebrating our long buried curiosity and creativity (Big Magic), and moving past judgment and shame to live wholeheartedly (Brené Brown’s Rising Strong). That’s great, but where’s the conversation about not doing this damage in the first place? With unschooling, we recognize the deep, negative impact of using judgment and shame as parenting tools, and the value of nurturing curiosity and creativity. We are choosing to parent in ways that value and empower these skills and perspectives from the get go. With unschooling, we start with the fundamental notion that children are people too. I’ve also just finished Big Magic and loved it! And also saw the many connections with unschooling. It was so challenging to me to more fully embrace my own creativity and curiosity, not just for myself, but because it enables me to see my children – and the world – in such a different light. Lightly, curiously, playfully – so counter to how I was brought up. My favourite take-away right now? Instead of trying to “conquer” Fear, greeting it, thanking it for the good it does, then inviting it to take a back seat while creativity and I go on journeys of adventure! This takes “feel the fear and do it anyway” to a whole new level…. 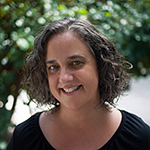 I also listened to a number of interviews Liz gave on various podcasts, which really rounded out the book for me even more – I highly recommend this. That’s cool, Karen, glad you enjoyed it! I’m going to go find a couple of those podcasts to listen to. Thanks for a great review. I immediately checked my local library and obtained a copy. It’s one of the best books I’ve read this year. It’s uncovering my misconceptions about creativity, inspiration, and fear. Gilbert’s example of a friend figure skating resonated with me. My daughter figure skates. Her coach (and I agreed) feels my daughter is a recreational skater and doesn’t recommend continuing to spend money on private lessons since she doesn’t see signs of a competitive nature. But, what’s wrong with my daughter simply skating because she loves it and wants one on one attention? Why do the lessons need to lead anywhere except to her own fulfillment? Figure skating doesn’t have to consume her life to show it’s important to her. Next up is Daring Greatly by Brené Brown. That’s a great point, Michelle! There’s nothing wrong with private lessons because she loves them. It seems the skating coach’s recommendation is based on the expectation that parents are looking for external skills growth rather than internal development i.e. joy! And I’m glad you enjoyed the book!